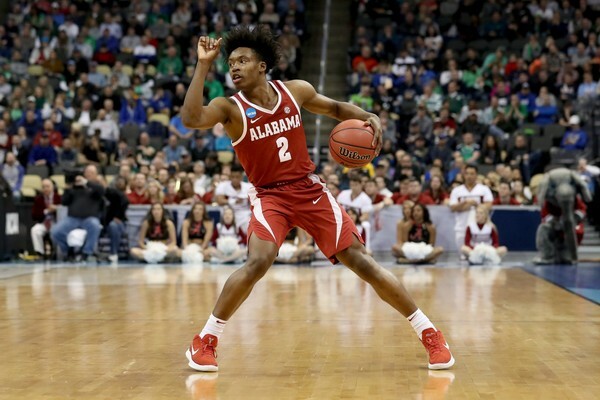 INDEPENDENCE, Ohio– The Cleveland Cavaliers got a ‘young bull’ in Thursday’s NBA Draft, selecting Alabama point guard Collin Sexton with the No. 8 overall. Sexton is a ridiculously fast guard who can change the landscape of a game in a hurry. He averaged 19.2 points, 3.8 rebounds, and 3.6 assists in his freshman campaign underneath former NBA coach Avery Johnson. Of course, that is the only season he played of collegiate basketball. During the end of the 2017-18 campaign, Sexton showed his talents to the fullest capacity. He not only scored at will but had his defensive prowess shutting down opposing players. After he was drafted, Sexton told reporters that his workout in Cleveland was “one of his better workouts.” He also spoke about what it would mean to potentially play alongside LeBron James.